5 stars - "Epson WorkForce 840 All-in-one InkJet Printer with CISS" by Jose	M., Written on 2012, 19:00/06/26 It helps me a lot in my business. And because of CISS I can allow myself to print as much docs as I need. Buy Printer Epson WorkForce 840 with CISS and make 30 times more quality prints for the same money! Printer delivers two-sided, high-speed, automatic, color printing, copying, faxing and scanning. Epson workforce 840 wireless can maintain the business running at full speed. You have the possibility of loading paper less often with a 500-sheet paper capacity. High-capacity ink cartridges of black color produce about 2x more prints per cartridge. Nowadays, you will not need waiting for ink to dry, because there is an instant-dry DURABrite Ultra Ink in a new all-in-one printer . This multifunctional device can be shared wirelessly with multiple PC on your network, using Wi-Fi. Moreover, it prints directly from iPhone, smartphones and other mobile devices. Multifunctional device Epson 840 is a good choice for an economic customer, who would like to buy an excellent device at a low figure. It provides both a good printing quality and a high speed. Besides, this device is very convenient in service and maintenance that is why it is worth ordering this printer from our company. Both at home and in big or little office, relating to MF will get you easiness and security. use up to 75% less power than laser printers. High functionality and convenience. 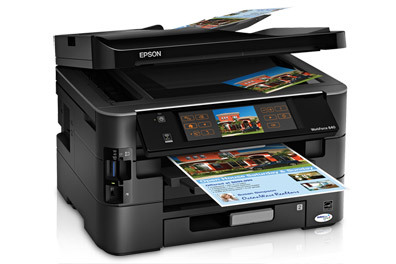 MF Epson 840 printer will satisfy even the most hard-to-please users! Thanks to the high resolution ability of printer as well as scanner/copier, the documents and photos are of a good quality. The resolution of this multifunctional devise is 5760x1440, and the resolution of the scanning device and copier is 2400x2400. An important role plays a minute ink drop volume. 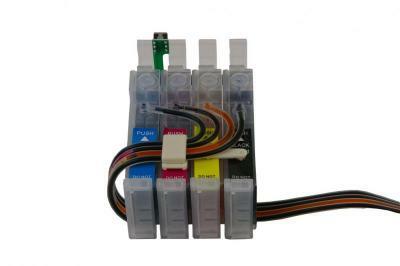 Besides, the Continuous Ink Supply System, that also improves the printing quality, is installed in this printer. When ordering Epson printer 840 series on our site, you also will be able to take part in a special offer and become a proud owner of a good printer with CISS system, that will really allow you to reduce you printing expenses by 20 times minimum. 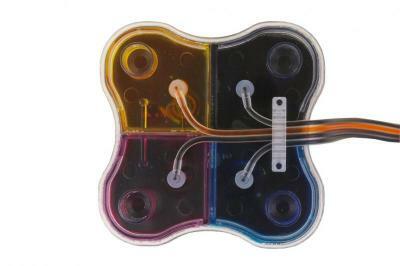 Moreover, the system of CIS will protect your all-in-one against minor breakages, connected with frequent replacement of cartridges, and consequently, to prolong its operating life. The purchasing of this new multifunctional device from us is a guaranty of a high quality of a low costs. 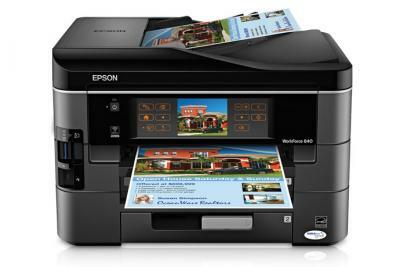 In additional, you could easily buy this new printer as well as Epson WorkForce 635 and Epson WorkForce 633 from us. The printing, copping and scanning quality of Epson 840 printer is above praise. Maximum Paper Size: 8.5" x 44"
It helps me a lot in my business. And because of CISS I can allow myself to print as much docs as I need.